As recently reported by various media outlets, on March 4th at 12.30pm, British-owned cruise ship Caledonian Sky, ran aground at one of our much loved dive sites, Crossover Reef, located less than 10 minutes away from the resort. It is a stunning reef that has been the location of many remarkable dives for our guests. A ridge approximately 400m long and between 7 – 30m deep, Crossover boasts an extraordinary abundance of pristine corals and reef fish, with its stronger currents attracting pelagic predatory fish and several species of sharks. On the day of the incident, the 4,290-tonne Caledonian Sky had been in the area bird-watching, when it ventured into the Dampier Strait. Unfortunately, the captain was unaware of the reefs location, strayed into shallow water and ran aground at Crossover. After being unable to detach from the reef, a tugboat from Sorong city was deployed to tow the vessel from the reef. 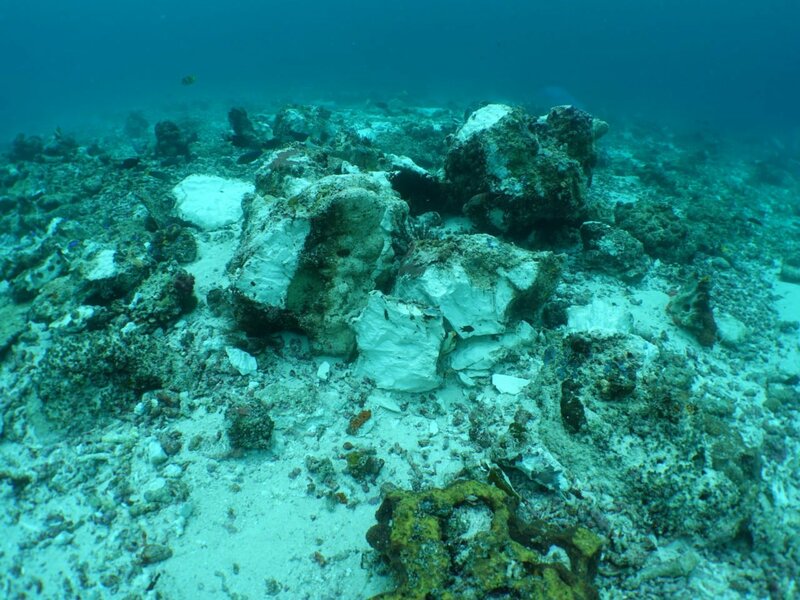 An official evaluation has determined that this incident (both the impact, and the subsequent removal by tugboat) has destroyed 18,882m2 of pristine coral reef. 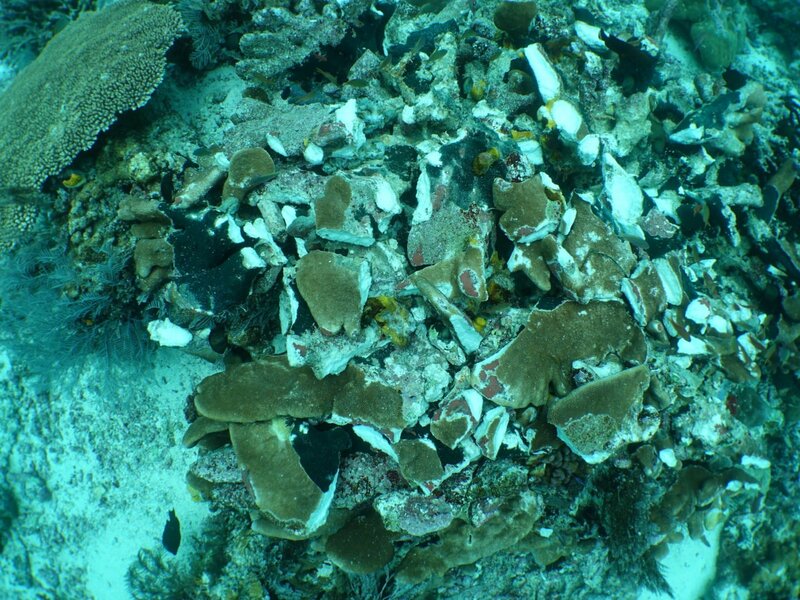 A v-shaped hole exists where the hull struck the reef, large coral tables and boulders are broken, drag marks rake the area, and anti-foul paint from the Caledonian Sky can be seen marking the coral skeletons. 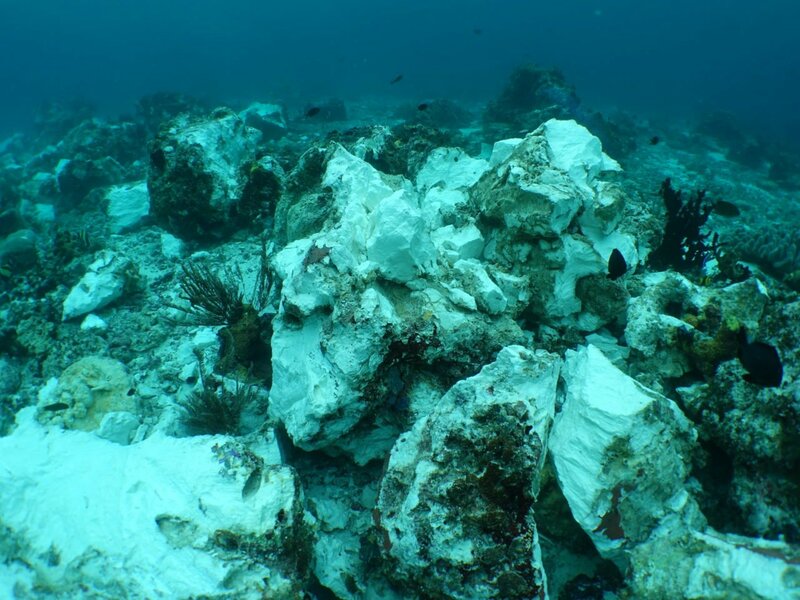 Sadly, within 24 hours, the damaged area of the reef had bleached from the stress/shock of impact, and reef fish vacated to healthier parts of the reef. Currently, the difference between damaged and undamaged reef shows a striking comparison in the life it supports; a distinct line exists between the healthy reef area which hosts an abundance of fish, and the damaged reef area which now only supports a small number of grazing fish feeding on the accumulating algae. 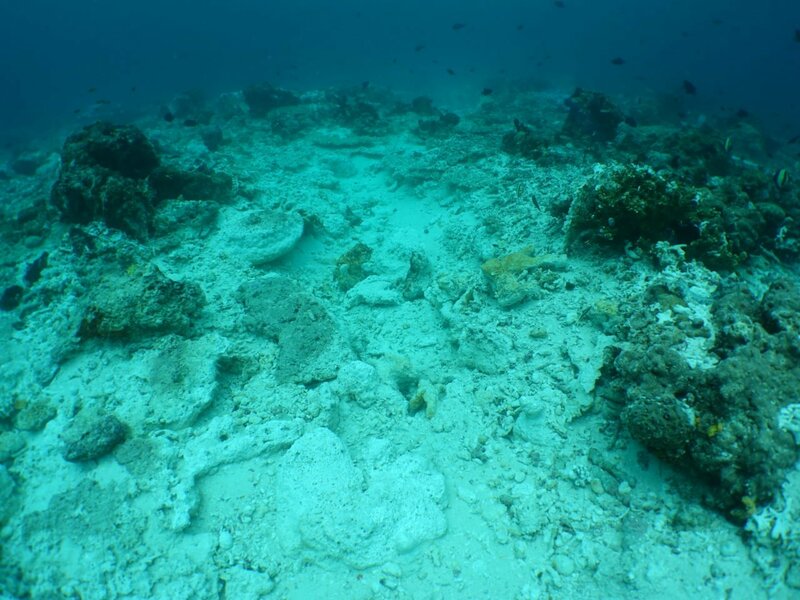 This quite noticeable difference serves to demonstrate the fragility of such an ecosystem; a dying/dead reef will simply not support fish aggregations. 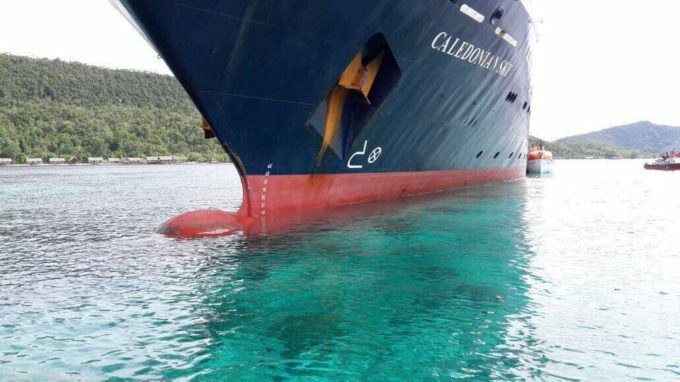 The evaluation team has recommended that the company pay compensation for the damage caused, and currently, MV Caledonian Sky is reported to be supporting investigations. Although the damage is extensive within the 18,882m2 impact zone, it is important to note the majority of Crossover Reef (and the rest of Raja Ampat) remains intact and was not damaged by this incident. This untouched part the reef remains pristine, bursting with marine life, and is an extraordinary example of the incredible biodiversity Raja Ampat has to offer (see video below or click here). We continue to dive at Crossover to show our guests what an incredible site it is, with the impact zone now serving as a stark reminder of fragility of a coral reef ecosystem, and the impact that poorly managed tourism can cause. We are all heartbroken by this incident, and like many people, are upset and confused about how such a thing could occur. However, from this terrible accident an opportunity has arisen for local, national and international stakeholders to work together to ensure better regulations are developed and implemented in order to prevent such things occurring again. It is our hope that this incident will lead to significant steps forward in implementing such measures. Currently, a team of enthusiastic and committed individuals, including our resident marine ecologist Arnaud, are considering the feasibility of a long term project to restore the damaged area of Crossover Reef; and we will provide updates as progress is made regarding this.